A pair of good toasted sandwiches. On one, Sweet & Spicy Tuna with Capers and Swiss Cheese; on the other Ham, Peanut Butter and Swiss. Not a bad lunch for $2.62 per serve. 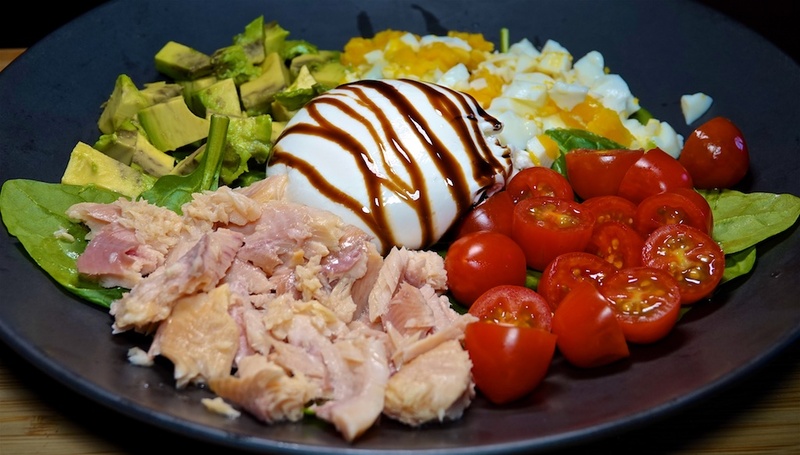 Another smoked trout version of a Cobb Salad, which we enjoy more than the traditional version. Add 40c for baby spinach and balsamic glaze. We always enjoy this salad for $6.71 per serve.